April's Little Corner: I Love This Book! I have seen this actress on a few shows over the years but I love her on Girlfriend's Guide to Divorce so when I saw that she had a book out, I had to read it. I absolutely love when a writer sounds on paper the same way they do in real life. This book was filled with real talk and I was cracking up reading about her purse addiction as well as what it has taken for her to get to where she is in her career now. 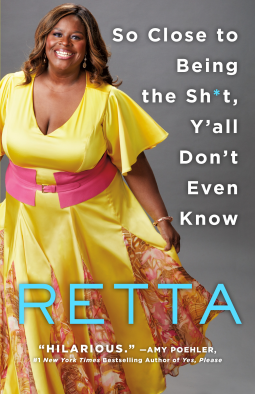 Retta is a smart and determined actress that didn't sugar coat her story. I am glad that NetGalley gave me the chance to read this book because it's been a while since I have read an autobiography that was as entertaining as this one. This book was published May 29 and Barnes and Nobles has it so I recommend you grab yourself one to read! You won't be disappointed.